Video: Mercedes DTM-Inspired, 11,000-RPM Monster Hillclimbing! Video: Chris Harris Races a Chump Car BMW E30! 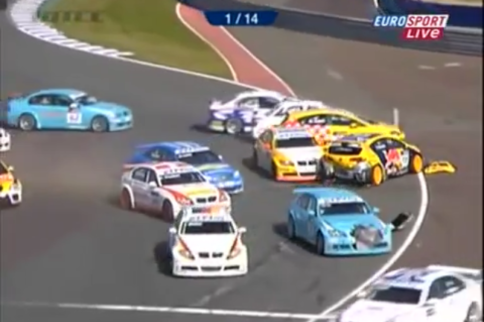 Video: Horrific Pileup At The Nurburgring! Video: What Happens After A Crash At The Nurburgring? Video: What Are The Secrets To Spec E30? Video: Mini’s Sideways Pass At 119 MPH!